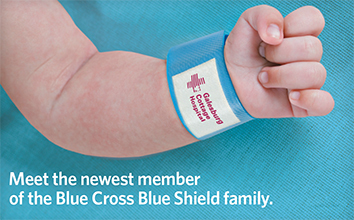 Galesburg Cottage Hospital will be joining the Illinois Blue Cross Blue Shield Insurance Network. Effective January 1, 2018, Galesburg Cottage Hospital will be included in one of the largest PPO networks in Illinois, and as a result, those Knox and Warren County residents in the Blue Cross network will now have access to the hospital’s emergency services, wound and hyperbaric healing center and orthopedic and surgical services for the first time in 37 years. The last time Galesburg Cottage Hospital was included in the Blue Cross Blue Shield Illinois network was back in 1985. Galesburg Cottage Hospital is a Level II Trauma Center and its Emergency Department is approved for Pediatrics by the State of Illinois. The Cottage Birthing Center features ensuite labor and delivery rooms and its Older Adult Behavioral Health Unit was recently expanded to a 16 beds. Galesburg Cottage Hospital has over 70 Medical staff members. Galesburg Cottage Hospital has not only received The Joint Commission seal of accreditation but also the exclusive accreditation by the Society of Cardiovascular Patient Care as a Chest Pain Center after having met rigorous standards of care in the timely treatment of cardiac emergencies. The Level II Trauma Emergency Department is an Emergency Department approved for Pediatrics by the State of Illinois and is also a Primary Stroke Center as certified by The Joint Commission. With over 70 medical staff members representing a cross section of specialties, Galesburg Cottage Hospital has the area’s only Wound Healing Center with hyperbaric oxygen chambers, an OB unit with private birthing ensuites and a renal dialysis center, among many other specialized services. Galesburg Cottage Hospital is celebrating more than 120 years of caring service to Western Illinois residents.